In this roundtable, we discuss how [email protected]/indigenous teaching methods and DIY feminism can help us shape anyplace we learn, whether it’s a formal classroom or a living room, into a space of freedom and nourishment. 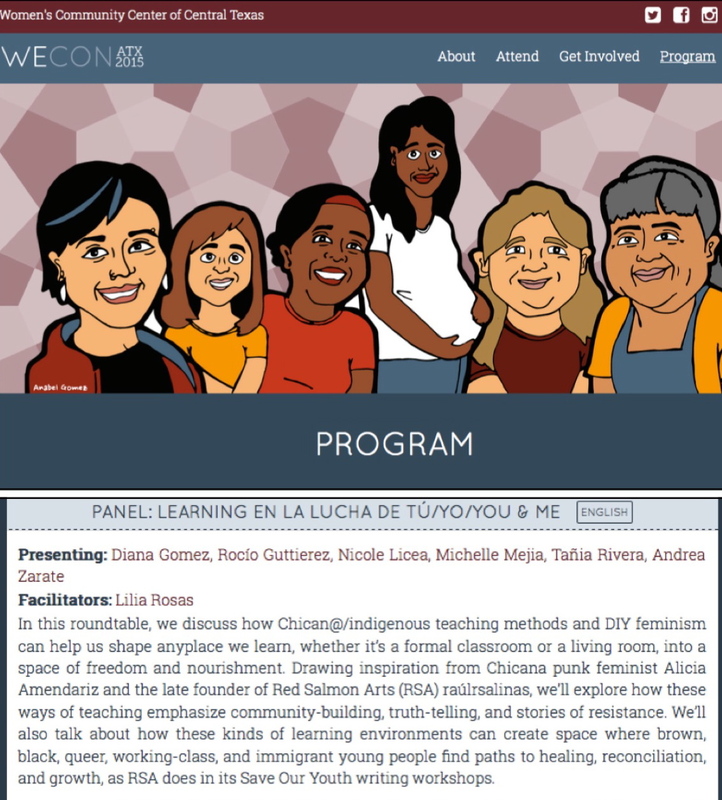 Drawing inspiration from Chicana punk feminist Alicia Amendariz and the late founder of Red Salmon Arts (RSA) raúlrsalinas, we’ll explore how these ways of teaching emphasize community-building, truth-telling, and stories of resistance. We’ll also talk about how these kinds of learning environments can create space where brown, black, queer, working-class, and immigrant young people find paths to healing, reconciliation, and growth, as RSA does in its Save Our Youth writing workshops.